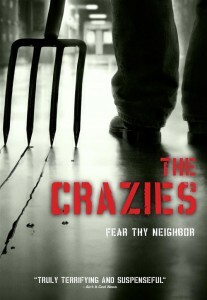 If you’re expecting a run-of-the-mill zombie film, The Crazies might just surprise you. Yes, this remake of the 1973 George Romero thriller has a virus running amok in an Iowa farm town, and yes, its victims do get ugly and tend to kill people in a grisly fashion, but as much as anything, this movie is about the soulless, militaristic isolation of the infected town. As director Breck Eisner states in his commentary track, the villain here is the military machine, not any individual, nor any virus-riddled killers. But don’t fear: a couple of suitably gory sequences involving sharp implements will satisfy the blood-lust of horror fans. 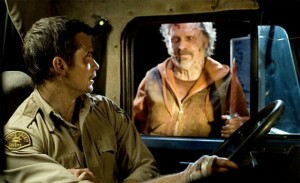 Picture quality is very good for standard DVD, with good contrast and clarity in the many scenes set in darkness. And the 5.1-channel audio track, marked by a bass-rich score, lends much to the creepiness. Various beeps and braps of medical gear will even have you cocking your head looking for the source.